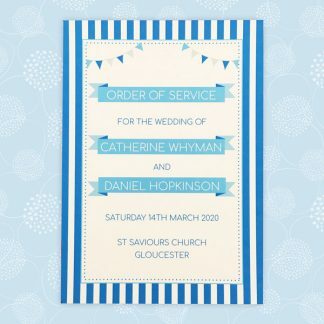 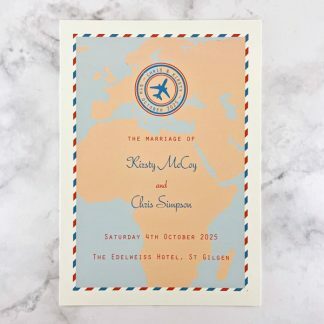 These wedding orders of service and events are an ideal way to provide guests with information about your wedding day. 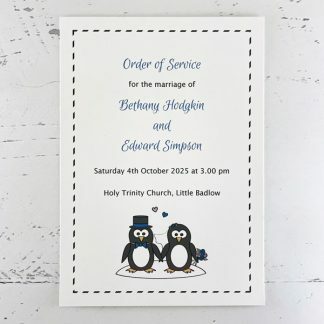 With both there is a choice of design, colour scheme and the card colour. 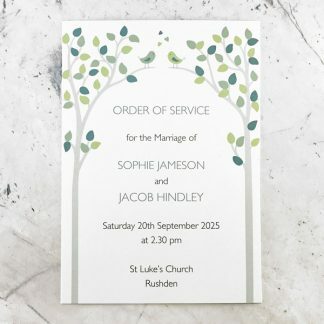 Choose from printed order of service booklets or order of event cards. 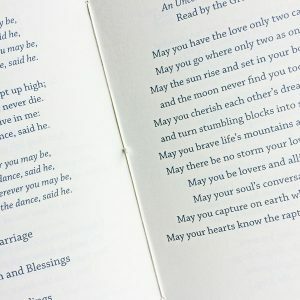 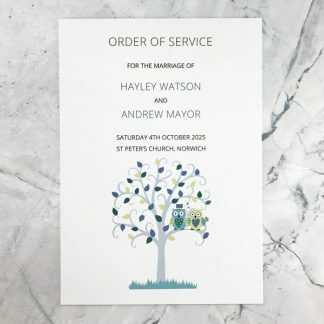 Printed order of service booklets contain the full text of your wedding ceremony. 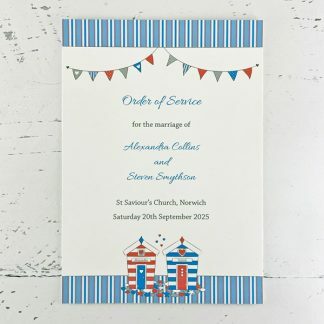 These hand-sewn booklets are ideal for a Church wedding ceremony but work equally well for a civil ceremony and are a lovely souvenir for your guests. 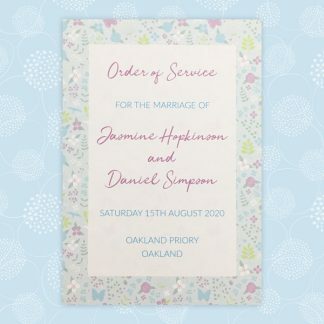 Order of event cards can be used to give wedding guests a list of timings for the day. 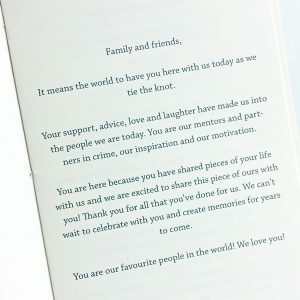 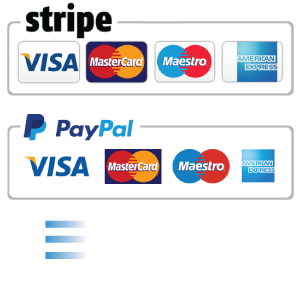 They can also be used to communicate other information you’d like your guests to have, such as a thank you message, who is in what photograph or a list of the wedding party. 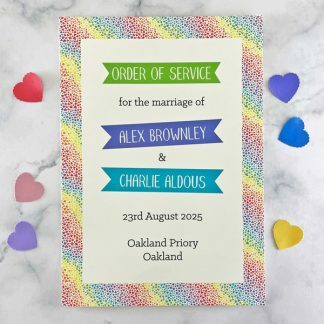 Click here to order a sample order of service or order of events card.